Another JB Sapienza Week request of sorts. A friend of mine once called Fear of a Black Planet more punk than any other punk album, and I’m inclined to agree. So, Public Enemy as superheroes. One could argue that PE are already superheroes. 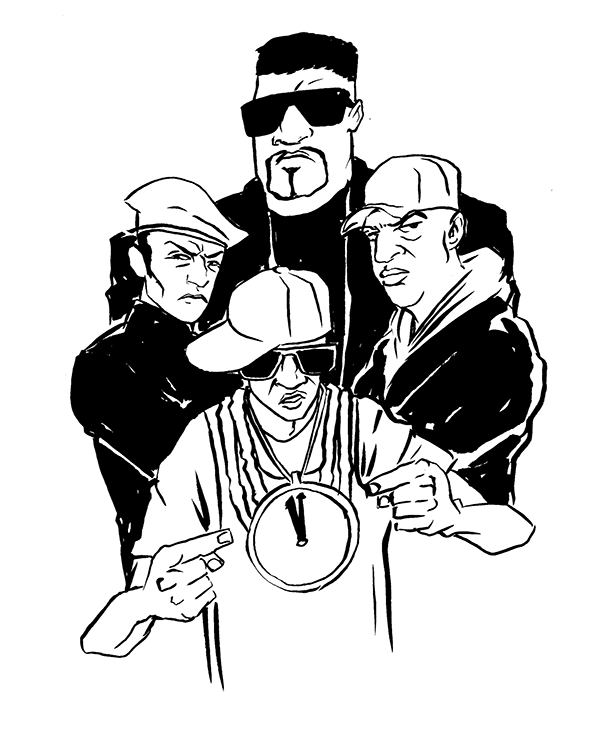 Luckily, what I consider to be the core group of PE – Chuck D, Flava Flav, Prof. Griff, & Terminator X (who recorded his debut solo album here in Dayton at a studio where my high school friends’ ska band recorded their album) – are pretty cartoonish (in a good way) and were easyish to draw without adhering to likenesses.